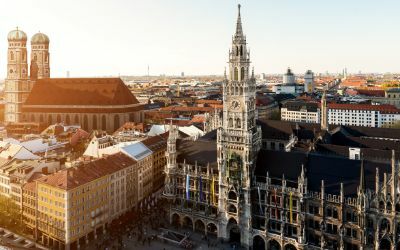 Although the majority of Bavaria's larger lakes lies outside of Munich, the city also has some beautiful lakes and rivers within its boundaries. Covering an area of 165.5 meters squared (365 m wide, 860 m long, max. 8 m deep), the Feldmochinger See is the largest lake within Munich's city limits. On a constant road to improvement, Lerchenauer Lake is not the most adored location in Munich. Despite its poor water quality, caused by problems with the purification system, many visitors still come to enjoy the grassy fields and take in some sun. There is also plenty of open space in addition to a play area for children. 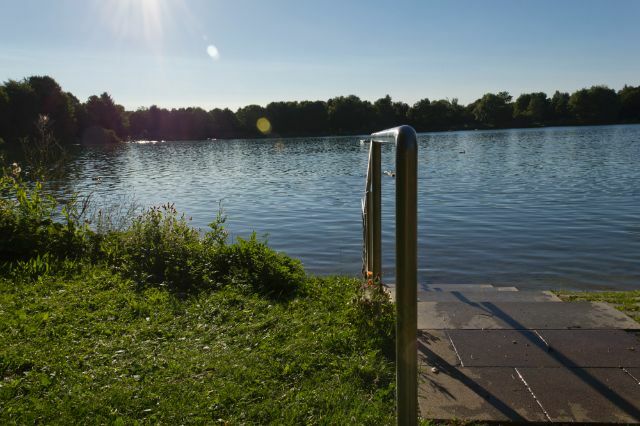 Fasaneriesee is ideal for both swimmers and those who prefer to keep dry. Offering a beautiful landscape with winding paths, the lake's surrounding area is enjoyed by mountain bikers and walkers alike. 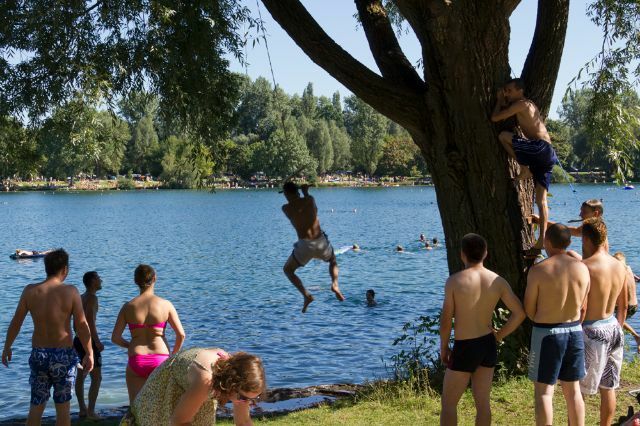 The lake reaches a maximum depth of 11 metres, and there are also special zones for children and non-swimmers. Feringasee, which is located in the northern part of Munich, can be reached by train with the S8, exit at Unterföhring. After you've got off the train, it's just a ten minute walk until you reach your destination. 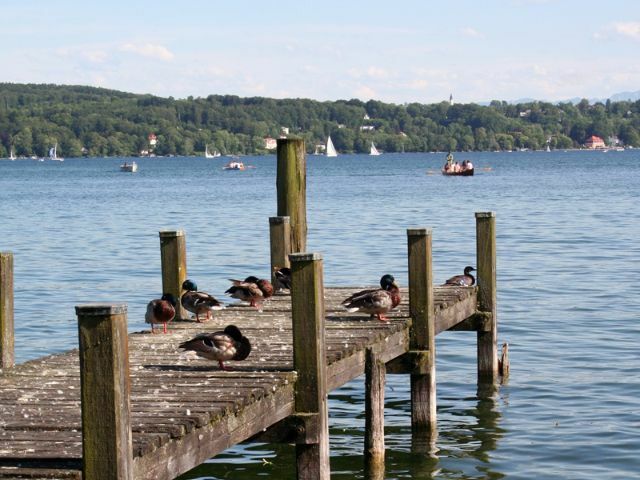 Located only 27 km south of the inner city, Starnberger See is Munich's closest neighbouring lake. With a maximum depth of 127 metres, covering 57 squared km, and offering a view of the Alps, this lake is quite a sight to behold. 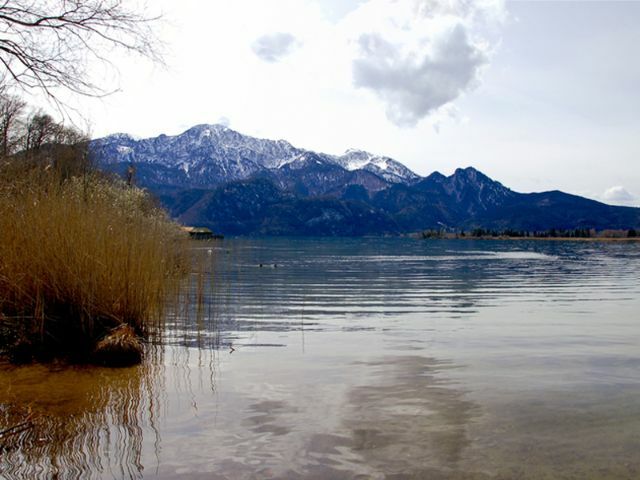 If you're into sports, Tegernsee offers possibilites both on land and water. The surrounding area, with its mountains and flowing meadows, is perfect for hiking, moutain biking, and scenic walks. For water sports, swimming, sailing and fishing are among the many choices. 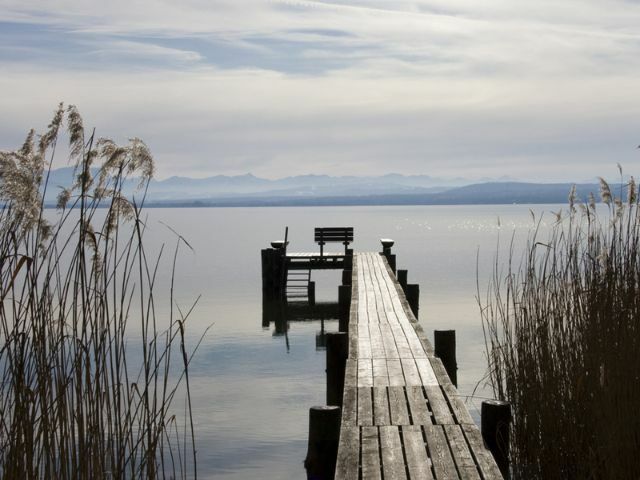 Home of Germany's oldest Lakeland sailing school, Ammersee offers various recreational activities, including swimming, rowing, sailing, and wind-surfing. 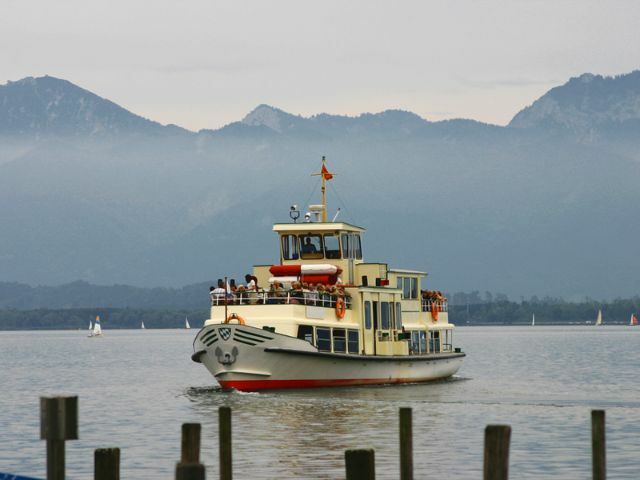 Steam liners provide transportation leading to multiple drop-offs around the lake. 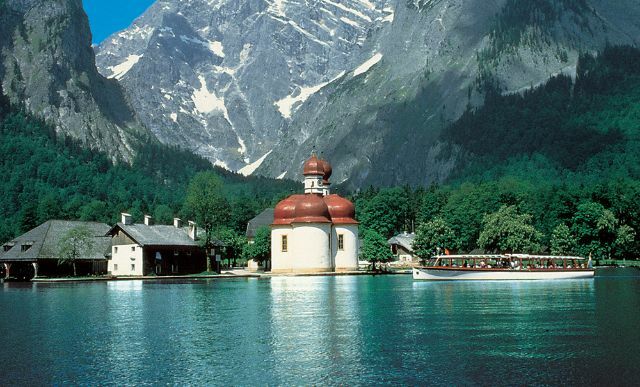 At the mouth of the Berchtesgaden National Park, surrounded by the Alps, lies Königssee. 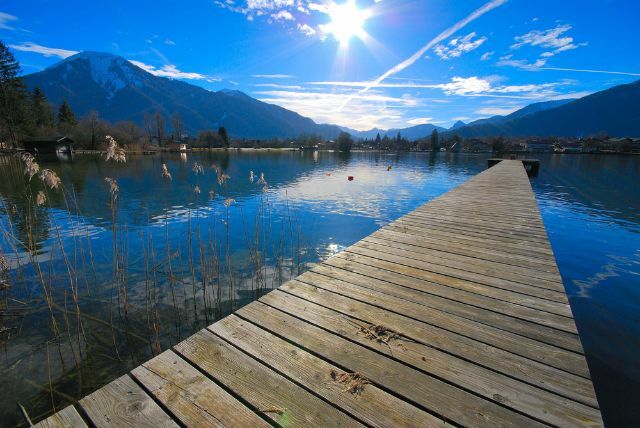 This 8 km long, 1250 m wide and 190 m deep lake is a must see while visiting Bavaria. With mountains overlooking it and shores filled with hiking trails, Kochelsee has been an attraction to sport enthusiasts and artists alike. 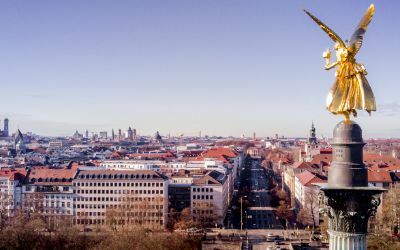 The largest lake in Bavaria, otherwise know as "Das Bayerische Meer" or "The Bavarian Sea", covers an area of 80 squared km and has a maximum depth of 74 m. The lake has three islands: Herreninsel, Fraueninsel, and Krautinsel, on all of which cars are forbidden.